How The Hobbit is like doing a Ph.D. 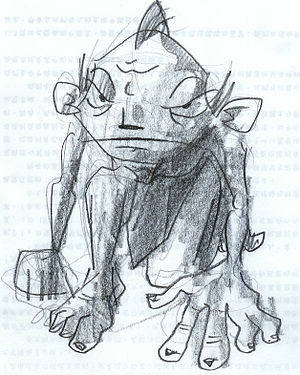 I came across this interesting post about a paper on how The Hobbit is an allegory of doing a Ph.D. It makes several fascinating connections between the two. This paper was presented by Ken Halland in 2006 at the 36th Annual Conference of the Southern African Computer Lecturers Association, Cape Town, South Africa. The original post is here while the original paper can be found here. I use several images and examples from the works of Jules Verne during our futures discussions in #hkuiom. Here are some interesting facts from his 1865 novel ‘From the Earth to the Moon’. 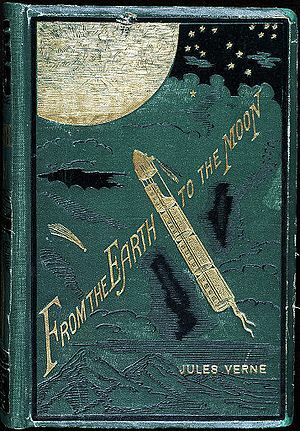 A hundred years ago, Jules Verne wrote a book about a voyage to the Moon. His spaceship,Columbia, took off from Florida and landed in the Pacific Ocean after completing a trip to the Moon. Verne estimated that the mission would have cost his day’s equivalent to $12.1 billion ($5,446,675 US dollars in 1865). Surprisingly spot on–the Apollo program up through Apollo 8 (the first manned vehicle to circumnavigate the moon) cost $14.4 billion. The launch occurred 132 miles from the site of Verne’s prediction. The United States would launch the first manned vehicle to circumnavigate the moon.